The Whitehawk Inn, a Brighton Housing Trust project, is a local community centre which provides a range of courses, services, advice and support to those living primarily in Whitehawk and East Brighton, but also in the wider city. The Whitehawk Inn uses volunteers in a variety of roles across the centre to support classes, run free activities, and for administration. We helped the volunteer co-ordinator at the Whitehawk Inn to learn about volunteering best practice and to develop the skills needed to improve their volunteering programme. The volunteer co-ordinator participated in one of our action learning sets. They met regularly with a group of volunteer co-odinators over a period of 10 months. Together they shared their experiences of managing volunteers and solved problems they were all facing in developing their volunteering programmes. The volunteer co-ordinator also attended meetings of our volunteer co-ordinators forum, where they learnt about volunteering good practice and networked with a wide range of volunteer co-ordinators. They also attended our training in using excel for monitoring purposes which helped them to better monitor the impact of their volunteers. Our learning opportunities helped the volunteer co-ordinator at the Whitehawk Inn to develop new skills and to learn about volunteering good practice. 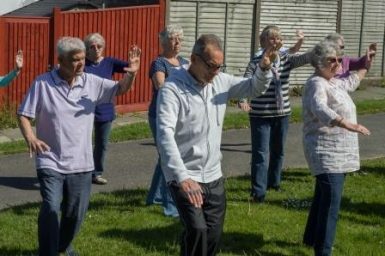 They’ve put their new skills and knowledge into practice and the organisation is making better use of their volunteers – who help Whitehawk Inn to support residents living in East Brighton. If you need help to develop your volunteering programme, take a look at our online volunteering good practice guide which contains lots of useful information and templates which will help you to develop your volunteering programme. We've helped Brighton Housing Trust's trustees to develop in their role.